You are talking sense Lucas! but really... that view!! Nice, certainly beats the wall I look at! 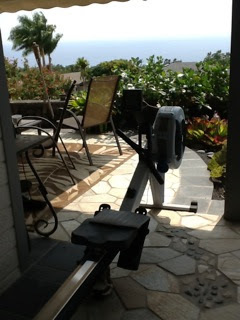 If any of you every come to Hawaii look me up.Nice work on your Gym Caroline. Great view, Paul. Guessing you don't have much need for central heating in Hawaii anyway. Your right Lucas, the average temp here is 65-85F no need for heat or AC.